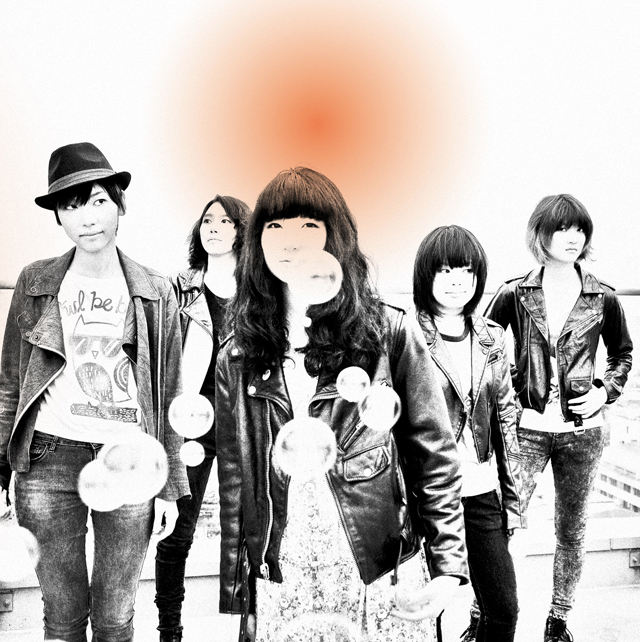 A female quintet Blues Rock ‘n’ Roll band living in Sapporo, Hokkaido. In 2009, the five members met one another when they entered high school and formed the band. Their first original song “Doronko Baby”, which they wrote during the summer holidays in their second year of high school, won grand prize at the high school band contest. In July 2011, their last year in high school, they released their first EP “Drop’s”. In December of that year, released the split single, “SPLIT”, with the rock band Bakudan Johnny from Sapporo. In July 2012, starred in “JOIN ALIVE”, a music festival in Hokkaido. In August that year, began their Tokyo, Nagoya, and Osaka tour. In march 2013, released the 2nd EP “LOOKING FOR”. In July, made their major label debut from “STANDING THERE, ROCKS” within King Records, with the limited TOWER-RECORDS-only single “Taiyou”. On September 4th, released the first full-length album “DAWN SIGNALS”.